Membership is for those yogis who believe in the power of possibility by committing to growth on their mat. These yogis come consistently into the studio and take every opportunity to move beyond, both on and off the mat. These yogis want to be active participants in a growing and vibrant community centered on holistic wellness. These yogis get maybe a little too excited over new yoga gear, oils and mats. These yogis want to share their passion of yoga with others. 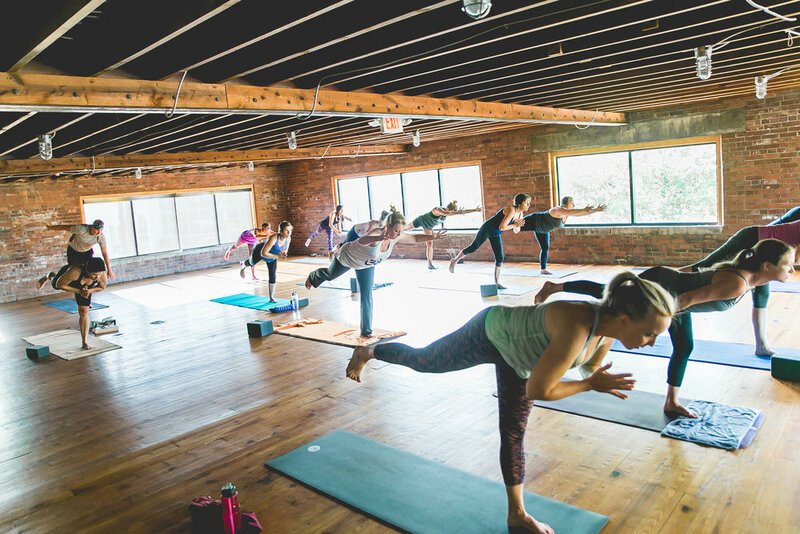 COMMIT: unlimited classes + benefits - $110/ per mo. GROWTH: 8 classes/mo + benefits - $72/ per mo. FLEX: 4 classes/ mo + benefits - $39/ per mo. We're flexible, that's a given. Memberships are drafted monthly. We'll continue to draft until informed otherwise. A 3 month commitment is required. Unused classes roll-over monthly. We request 30 day notice before terminating your membership, any unused classes are active 30 days post termination of membership (not membership benefits). We're happy to put your membership on hold for a time, delay a payment or accommodate life as it unfolds. Having a membership with us should make life better, not harder. Simply email us to coordinate signing up or to make changes.